Do you want to know the top private hospitals in Rampura? 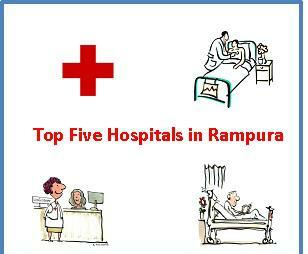 The below article will provide you with the information about top five hospitals in Rampura. You will find the detail information including address and contact information of the physicians. Medical facilities are the needs of this present age. People do not follow right gestures which cause many problems and at these times we need a physician. Our habits are also changed and cause different problems in the body. We are not getting pure food materials which always cause different types of digestive problems . We have reduced the walking and habitual to use vehicles which have created different types of problems. Sometimes accidents, heart attack, blood loss, blood pressure , etc. are emergency condition and needs immediate physician services. Burhani Hospital is the best private hospital of Rampura. The main physician in the hospital is Dr Sh. Quaid Johar (MBBS, MD). The hospital provides different facilities like X-ray, pathology laboratory, ECG, general ward, private ward, etc. The fees of the Dr Quaid Johar are only Rs. 60/- which is very nominal and he is only doing the service for the society. The timing to consult the physician is 10 AM to 2 PM and 4 PM to sunset. Free medicines are provided for the patient of Tuberculosis (T.B.) with the collaboration of Aliens Club Rampura. The patient of T.B. from the different corner of Madhya Pradesh and Rajasthan comes at Burhani hospital for the treatment. Burhani Dental care is run by Dr Aliasgar Johar and Dr Arwa Johar. Both the doctors are B.D.S. The hospital has all the modern machines for the dental care of the patient. The doctors do not take any consultancy fees and they only charge if machinery is used. This is the only one and the best dental care hospital in Rampura town. Before this hospital, the patient of Rampura had to visit Neemuch or Manasa for the treatment. You can take the advice of the doctors at any time through the mobile phone. The Dixit clinic was the oldest private clinic of Rampura. The clinic was started by Dr Vinod Kumar Dixit (BAMS). The fees of the physician is only Rupees 70. You can ask the physician at any time even in the midnight. The physician is always ready to help the patient. They uses allopathic and ayurvedic medicine as per requirement. Maheswari clinic was started by Dr Maheswari (B.A.M.S.) in the year 2001. Dr Maheswari charges only rupees 10 as consultancy fees. He was appointed as the HOD in the government hospital Besla but for the service of the people he resigned and started his own clinic at Rampura. The timing to consult the physician is 9 AM to 2 PM and 5 PM to 8 PM. The main physician of Shukla clinic is Dr Giriraj Shukla (M.B.B.S.). He has practiced with the famous Dr Late M. S. Chandrawat for almost 15 years. So he has great experience to deal with the patients. He provides 24 hours service so you can contact him anytime without hesitation. He has his residence above the hospital. So to contact him is not a big problem. These are the top five private nursing homes of Rampura. You can find the doctors as per your needs and contact them as per mentioned time. It is very important than in the suburban areas these physicians are providing their services for the people. I thank all these physician for their great services.